No doubt! Truggys are more popular there I have heard, so I am getting a RTR Z-Truggy to them. Its gonna be in tomorrow or Wednesday, and I will get it all broken in, and make sure everything is locktited, and send it out to Bagdad International Speedway next week! Last edited by MadRussian; 05-18-2009 at 06:16 PM. Started the break in process on the SH.28 in the RTR mostly done, runs nice and has a super Airtronics radio. does anybody know what bodys can be made to fit the truggy? Im looking for somthing a bit more Sleek looking. i was thinking about trying a reckward Tuning body or somthing like an RC8T body. the D8T body would be sweet, It was actualy the first i looked at, but the D8T looks longer and the motor pops out the cabin roof so i kinda assumed it would not fit. ill do some research Ithink and figure out the measurements. Any update on the body? I actually am digging the stock body, I have the optional 1.5mm body at my painters getting the Z-Army treatment. Had a blast last weekend before we got rained out, my engine was still really, really tight so it wasnt making the hp I needed (esp on bottiom) but still got 7th Pro Truggy and had some awesome lap times and great duels, and a ton of people came up and remarked that it looked really good out there! Everyone came and looked at it and tripped out on how light it is, and the unique design features! 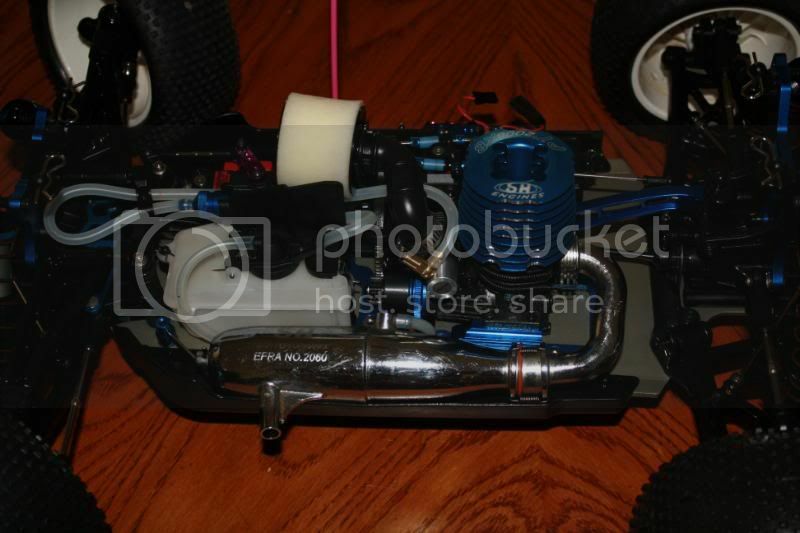 I have since ran about a half a gallon through it, installed 1.1 mm clutch springs and a ss-tech outlaw truggy pipe. Still need to paint a body! That "Sheen" is from Nitro!!! Virgin Run for the SH ride last night!! can we get some shot's of the brake's? and how do you adjust camber? 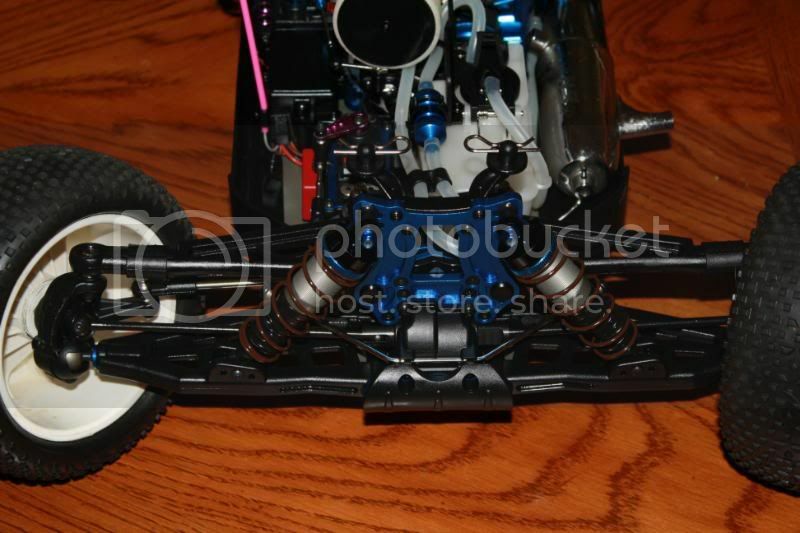 Neesh--Degani was running 2nd and 3rd at the Wiregrass Indoor Nationals until the grub screw came out. 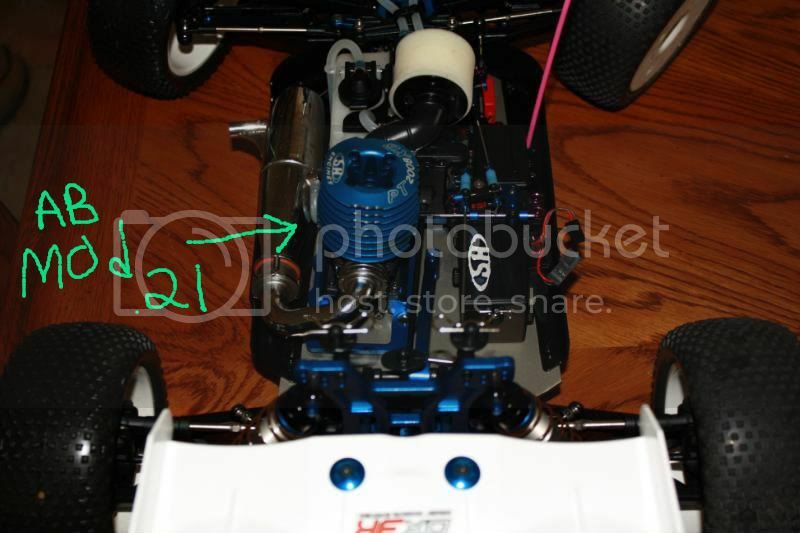 My 1st race ever with it I ran 2nd for 43 minutes of a 45 minute main and my engine flamed out due to a bad clutch bell bearing. So in other words its performance is awesome!! Its very light, thats the 1st thing everybody says when they pick it up. 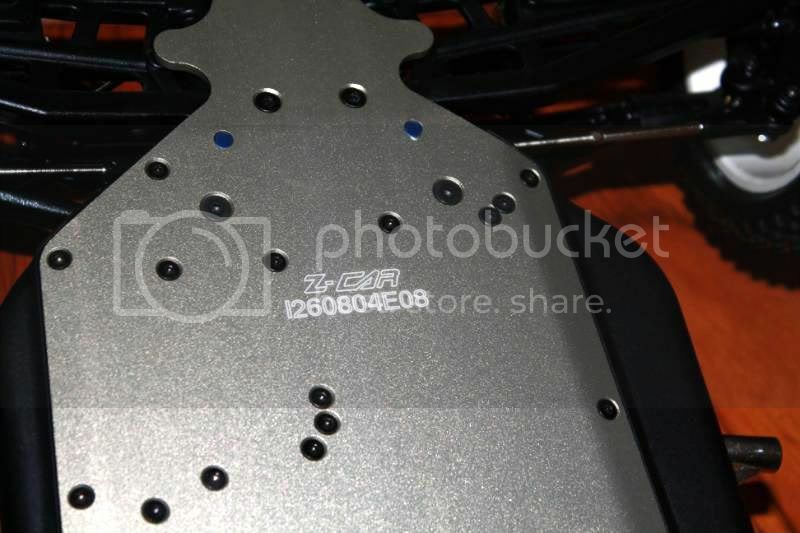 Camber is adjusted the same as the Z-Buggy, the turnbuckles in the back, and turnubuckles in the front, of course teh front ones are covered by the patented plastic sliding cover, which adds additional strength to the arms. Hi neesh, the Pro truggy will come with wheels, and pipe, tires and foam will be shipped out in about a week. The brakes that are billet gold are optional, and run about $58. I am a huge fan of the stock brakes however, I havent ever noticed fade, but 2 Team driver said they did, and are now using the new compound brake pads, which came out about 2-3 weeks ago as a running change in production. Like I posted, the brakes were already made as a running change, and on all the Truggys in the USA already. The tires foams and pipe will be shipped out to all our clients who have already bought a Pro truggy kit, and should be in for me to add them myself to the kits next week. 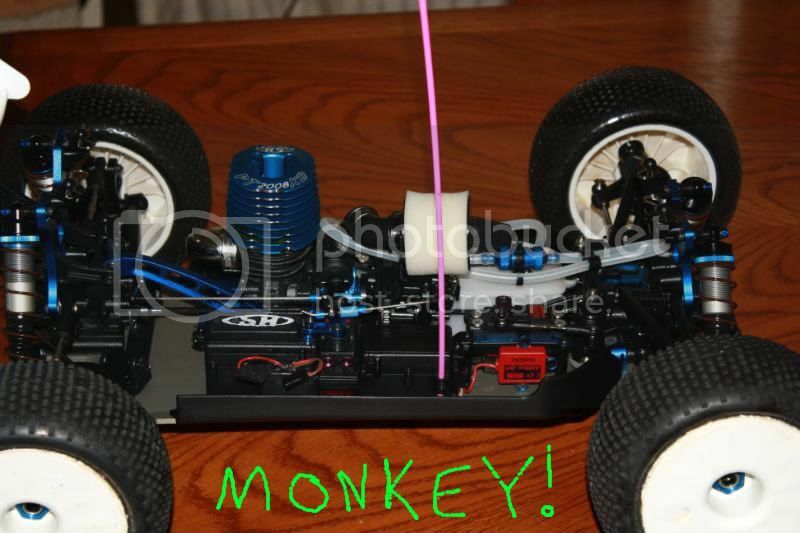 Editable Truggy setup sheets available! !